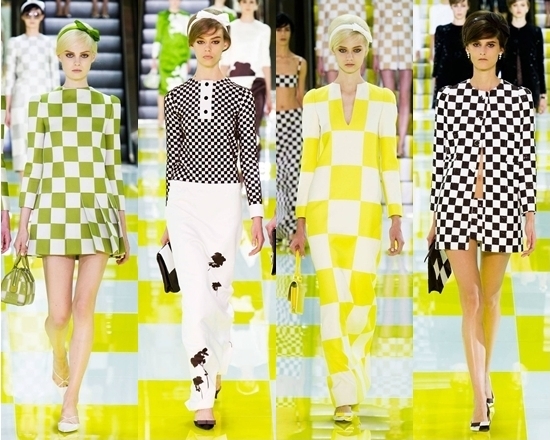 House of Height - Fashion | Beauty| Lifestyle Blog: Spring/Summer 2013 Trends Part 1. Spring/Summer 2013 Trends Part 1. Spring/Summer is fast approaching and I wanted to give you all a heads up on the latest trends to be rocking. A new season with a new approach, I love looking into all the fashion shows to pick up on the latest looks. So not only am I looking forward to the better weather, I can't wait to throw off my winter coat and be styling some of these trends. Enjoy! 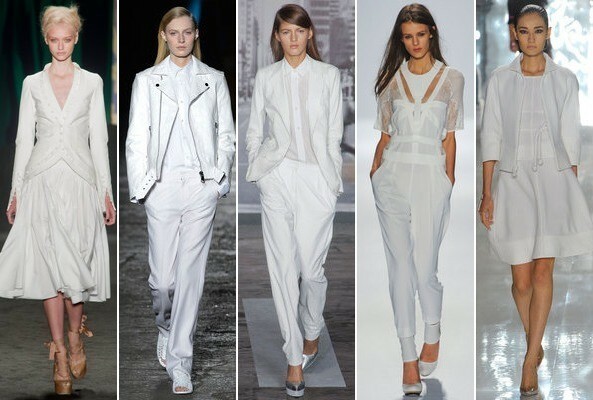 This trend is all about rocking white items from head to toe. This trend incorporates any material and fabrics, so any white items will work for this. Have a spring clean of your wardrobe and dig out any white items to style. Lace will work a treat with this trend and cut out panel pieces. Accessories should be kept simple and the main focus should remain on the white canvas of the outfit. Shop some white dresses here, shoes here and accessories here. Even white footwear will work for this look, I would recommend a more modern shape shoe. Take a look! Time to look shiny. So metallic fabrics and shine reflecting material items will be amazing for this trend. If your slightly intimidated by this trend then why not try a holographic top over some shorts or a skirt. This trend will definitely be loud and glossy. I think for a night out this trend will be a must. Buy some metallic pieces here. Why not try some metallic accessories to glam up any outfit. So another major print for the Spring/Summer will be stripes. The main area was focused on the monochrome palette. 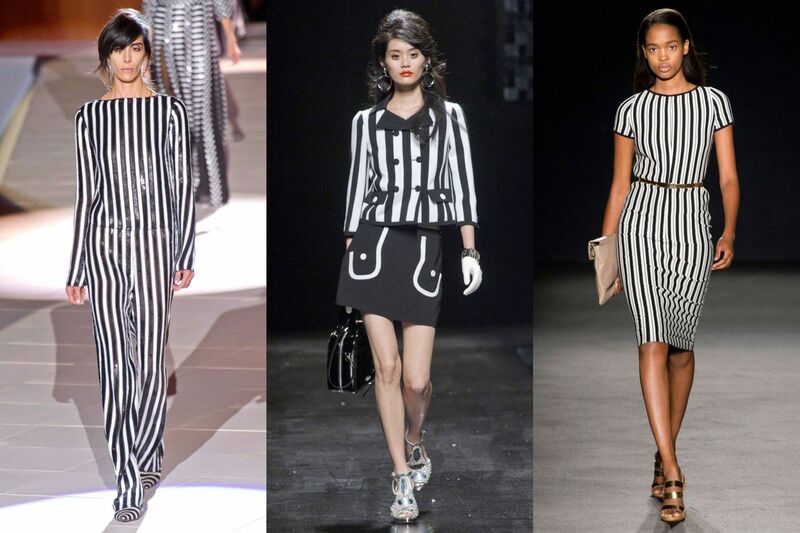 The good thing about this trend will be that you do not have to just buy items with straight lines to rock this trend. 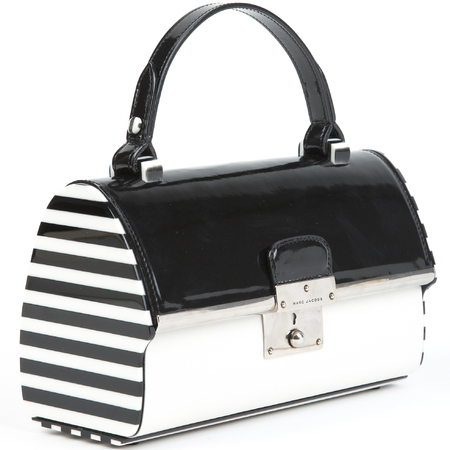 Curved lines are a different approach to this look as seen in the Marc Jacobs collection. 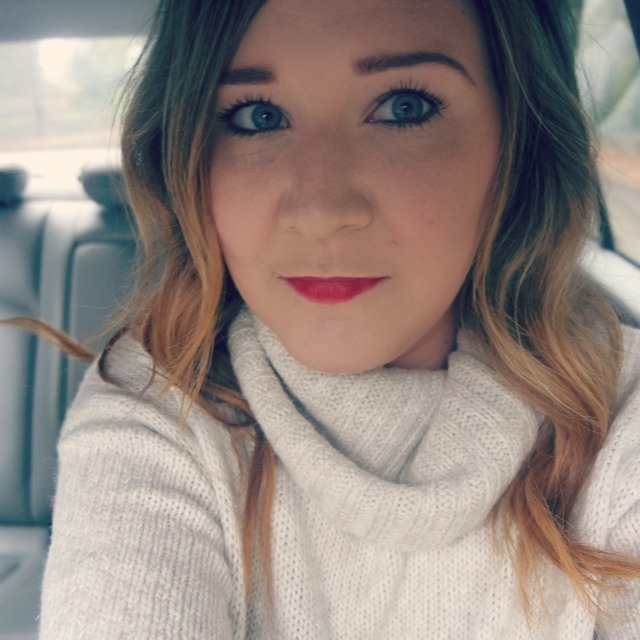 If you are worried about how the stripes might make your body look try vertical stripes as this is a well known fact that this will make you look slimmer. Buy some dresses here. Stay tuned for Part 2 of Spring/Summer 2013 trends. Let me know what trends you will be rocking this coming season!